Kimberly Slaughter has joined HNTB Corporation as transit/rail market sector leader, bringing 30 years of comprehensive experience in transportation and public transit. She will work with transit clients across the country. Slaughter is responsible for collaborating with HNTB region, division and office leadership on strategic planning and implementation, industry representation, business development, service delivery and client satisfaction. Prior to joining HNTB, Slaughter worked with another consulting firm as central region transit market sector director. Before holding that position, Slaughter worked for the Metropolitan Transit Authority of Harris County in Houston, where she held several positions, including senior vice president of service design and development, and associate vice president of planning. Also, Slaughter currently serves on the American Public Transportation Association’s board of directors and as chair of APTA’s Planning Policy and Program Development Committee. 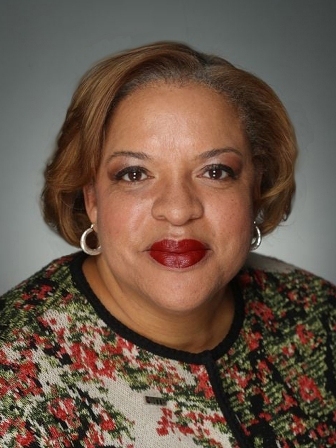 In addition, she is the first vice president of the Conference of Minority Transportation Officials, Chicago chapter and serves on the national organizing committee for the annual Women Who Move the Nation breakfast. She is a member of WTS International and was named 2012 Woman of the Year by its Houston chapter. Slaughter holds a Master of Science in Community and Regional Planning and a Bachelor of Arts in Government from the University of Texas at Austin. With Slaughter’s arrival, Diana Mendes, AICP, will continue to serve as president of HNTB’s Mid Atlantic Division, working with transportation and transit clients in the region, along with maintaining her national leadership involvement with transit industry associations. HNTB is currently involved with many of the nation’s most high-profile transit programs, including Los Angeles Metro Sepulveda Pass Alternative Assessment, Los Angeles Metro Crenshaw/LAX Transit Corridor, Santa Clara Valley Transportation Authority’s BART Silicon Valley Phase II, Metropolitan Atlanta Rapid Transit Authority GPC and Engineering On-call Contracts, Chicago Transit Authority’s Wilson Station, and the Charlotte Area Transit System’s LYNX Blue Line Light Rail Extension in North Carolina.